We are a family run and operated business established in 1978. We have been based in Dayton since our founding, and learned our electrical trade the old-fashion way: with high quality education and thousands of hours of in-the-field experience. In our almost four decades of experience, there has been no job too large or too small; and, there is nothing we haven’t seen or done before. We hire only the best experienced staff and have one of the highest retention rates in the industry. Our entire business model is based on customer referrals and repeat business. Our reputation has been built over the decades, and we guard it with excellent work and top-flight customer service. We have been serving the Miami Valley for over 39 years and are the contractor Dayton OH trusts for all residential and commercial service. That’s right, we have been in business since 1978. We are a Dayton-based family run and operated business, spanning three generations. and have over 50,000 hours of hands-on experience. We are old-school – if that is still in style – as we approach each job, small or large, with the utmost priority for quality (vs quantity or volume). We care about our work, and we care about our customers – something we believe has been lost on most service businesses today. If you choose to call us, we will answer the phone right away or call you right back. We will do what we say, when we said we would and for a price that is fair and reasonable. We stand by our work, this isn't just words to us – they are our reputation. We are the contractor Dayton residents have been depending on for almost 40 decades. Call us today for a free quote on an service repair, upgrade, or new install. Whether you choose us for your home or business’s needs, you can be assured that our experienced staff of professionals will be committed to providing you with quality service at a fair price. You will not have to worry about cost surprises – our pricing is not only straightforward, but we will detail everything in writing before any work is started. Lastly, we stand behind all of our work: we guarantee your 100% satisfaction and will address any and all concerns you may have. Further, our work is guaranteed for the duration you own your property. We stand behind our work like no other service company does. We go above and beyond in our customer satisfaction. Our reputation is all we have, and we do everything and anything we can to preserve and enhance it. We offer 24 hours a day, 7 days a week emergency service. We know problems don’t always happen between 9am – 5pm, so our Dayton, OH staff is here to support you around the clock. Whether you need us to repair a problem the same day, or you simply need expert advice prior to engaging us, we are happy to serve you anytime of the day or night, seven days a week. We know you time is valuable, so our experts in Dayton are on time, every time. We back that statement with our On Time Guarantee: if we don’t show up for an appointment within the two-hour window that was scheduled, your service is FREE. Virtually no Dayton-based company can offer this type of guarantee along with quality service, integrity, and reasonable pricing. If you need professional service in Dayton, OH or the greater Dayton area, please give us a call or complete the instant quote form to schedule your appointment online. We are team you can trust and depend on. We are a Dayton-based family business having served Dayton and the Greater Miami Value since 1979. We are old-school, if that is still in style, as we approach each job (whether small or large) with the utmost priority for quality (vs quantity). We care about our work and we care about our customers - something we believe has been lost to most service providers today. If you choose to call us, we will answer the phone right away or call you back immediately. We always perform quality work at a fair price and we always guarantee our work. Our experts have been wiring residences and business for over 30 years. From small home repair jobs to the largest commercial jobs, our professional, trained experts can do it all. We offer services at three levels of construction or buildings. Residential – We are one of the top residential contractors in the Greater Dayton area. 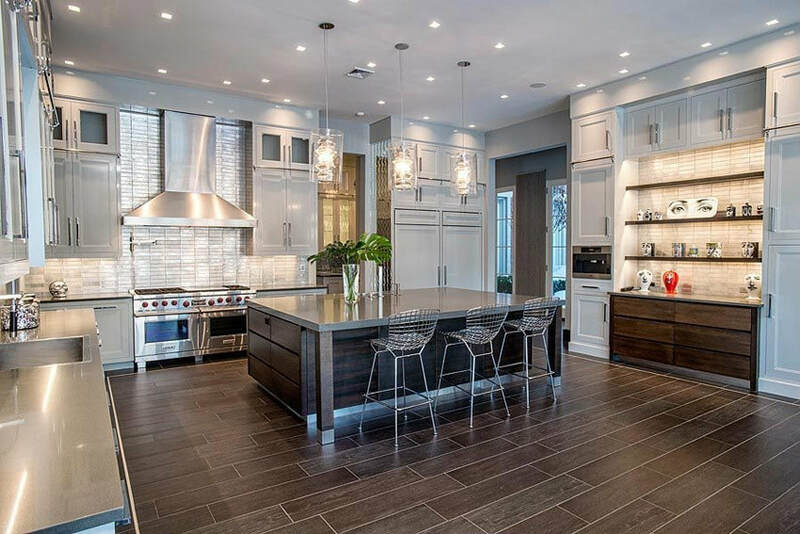 We can perform the small home services, such as recessed lighting or ceiling fans, to the much larger jobs, such as new custom homes to rehabs and remodels. Commercial – We have worked on everything from churches to restaurants to physician offices, and everything in between. We understand commercial needs are often more time critical and extensive than residential, so we do our best to meet or exceed your requirements. We provide a full-range of services to every level of customer. You will find encapsulated in these services are virtually every service required by our residential, commercial, and industrial customers. If you do see what you are looking for, please give us a call and we can discuss any type or level of service requirement you may have. Every one of our professionals completes rigorous training and continuing education on trouble-shooting techniques in accordance with National code requirements. Further, we are equipped with all the latest diagnostic equipment and techniques in order to quickly assess your problem(s). Our residential services include: Inspections, Lightning Inspection, Preventive Maintenance, Rewires, and Service Upgrades. Whatever your home needs are, in terms of repairs and updates, our experts are fully qualified and equipped to handle it. To ensure a safe environment for you, your family, and property, we offer complete home safety assessments. Through these assessments, we have identified and prevent many issues and potential inconveniences. Our assessment cover inspection of both interior and exterior area, to include smoke alarms, appliances, circuit breaker box and fuse box, lighting, heating/cooling systems, and equipment, such as cords, switches, outlets, and plugs. Next time you have a concern, contact us to perform this assessment and ensure any issues are identified and resolved before they become a problem. We offer a full-range of services to deal with the complexity of commercial issues. Our experts are equipped with in-wall and underground wire tracers that trace circuits to identify faults. Our company offers a complete range of commercial services to include: LED Lighting Conversions; Parking Lot Lighting; Electric Sign Installation and Repair; Panel Box Repair and Replacement; Breaker Replacement; Dedicated Outlets and Circuits; Meterbanks and Meter Can; New Construction, Remodel and Maintenance and Safety Inspections; Surge Protection and Lightning Inspections; Landscape and Sign Lighting; Single Phase and Three Phase Equipment; and Solar Power. Our employees can keep you home well lit and comfortable with professionally installed lights and ceiling fans. Residential LED light conversations are very popular and we can help you with the plethora of sizes and styles in order to effectively and efficiently light your home. We install all makes and models of ceiling fans, to include in high-ceiling rooms. We install a wide variety of circuits and outlets in both residential and commercial installations. Call us if you need new or upgraded outlets. We also can retrofit your existing outlets with ground fault interrupt safety outlets in areas where shock is a risk. Breaker tripping or not resetting? Breakers can trip for a variety of reason – let our wireman diagnose and resolve the problem. We can also upgrade your panels to accommodate additional power requirements. If your meter cans need replacing, due to defect or fatigue, We are fully qualified. If you are having lights dim and/or your power fluctuates, this may be a sign that your can is having problems. We can repair or replace saving you time, inconvenience and money. Older homes may be due for rewiring. Some wiring in older homes can date back over 100 years. Wiring advancement since then has protected both lives and property. We can accommodate all your rewiring needs, and minimal drywall damage is our trademark. Our technicians can support all your commercial wiring requirements. Our professional technicians have the skills and experience to repair, replace, or augment all your commercial wiring. We can help you be prepared with your own back-up generator. And, we can provide maintenance to existing generators. Enjoy the peace of mind in having a secondary power source.​ Power outages can be a real pain causing disruptions to your daily lives. Have Dayton Electric hardwire an emergency back-up generator so you are prepare in the event of a lengthy power outage. After you have purchased your new spa tub or swimming pool, let our company install all the lighting and hook-ups. We will meet and exceed the National Electric Code requirements for this type of jobs. Use our experts to ensure your pool or hot tub wiring and lighting is properly installed and safe. Usually hot tubs will need a nearby 220v outlet, and, most time homeowners don't have this electrical service in the area where they wish to locate their hot tub. Dayton Electric can quickly and affordably install 200v service and get you in your hot tub sooner rather than later. We are licensed and experience in the installation of solar power systems for your home. As rates continue to escalate, solar power, with state and federal subsidies, is becoming more and more of a viable power alternative. Let the us light up the exterior of your home and landscaping. Our professionals have an eye for lighting design that can showcase your residence. We can install landscape lighting for your business, home, pool or whatever you want outdoor light on. As part of this service, we can also install home exterior light, such as soffit lights that accent your home lines. Or, we can install floods, which will light up various aspect of your home's exterior. Replacing old applications with new? We can provide expert installation services and proper wiring layouts for all applications, to include: washers/dryers; refrigerators and freezers; dishwashers; ice-makers; ranges and cook-top; wall ovens; warming drawers; hood vents; and wine storage units. We can handle all your voltaic needs, both at home and work. We have worked with thousands of residential and commercial customers in our 40 years, and our reputation for quality, service, and cost is unmatched. Serving Dayton proudly, we are the company the Miami Valley trusts. And while we are not an appliance repair company, we can often make electrical repairs to appliance should that be the diagnosis. Next time you have service needs, please call Dayton Electric or just search for "electrician near me" - you can find us on top! Since 1978, we have been the company residential and commercial customers call when they need fast, reliable, professional and affordable services. We are fully licensed and insured, offering free, often same day, estimates for residential and commercial service work. Call us today and experience the difference a multi-generational family owned and operated business can make.